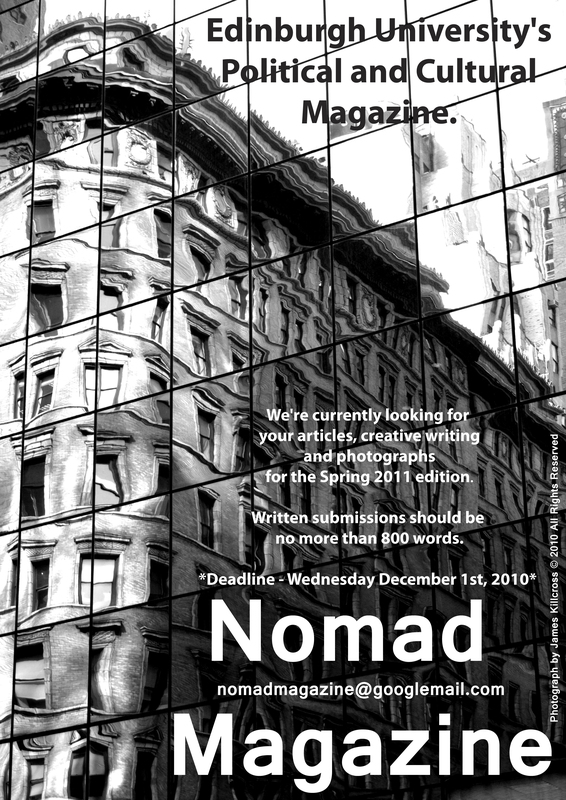 Nomad Magazine has FINALLY been printed! Sooo… Nomad has finally been printed!! 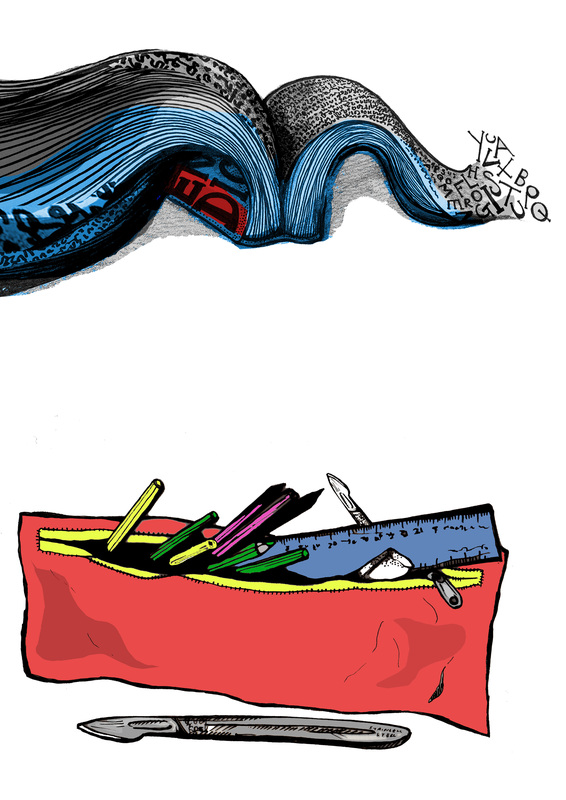 You can pick up copies around ECA or around the Edinburgh Uni campus from today! So Nomad has been totally revamped and is ready to print!! There’s tonnes of exciting things inside, including work from awesome writers, amazing illustrators and brilliant photographers! I’ll keep you posted about where (and when) you can grab your FREE copy! Here’s a sneaky peek just for you! 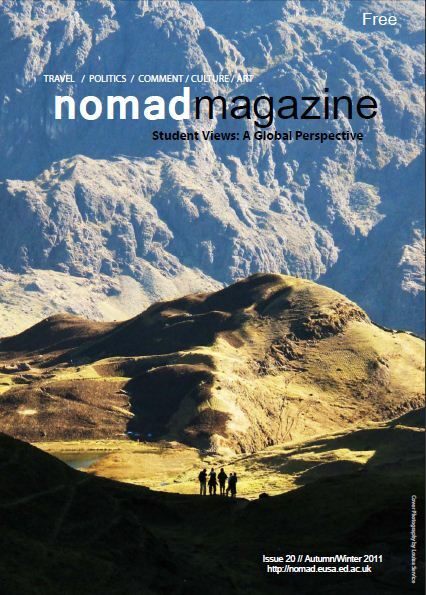 So just to add a little bit of pressure I’ve decided to take on the Secretary and Creative Directors Role for Nomad Magazine, which is a free travel/global views/magazine run by Edinburgh University students. The next issue to come out is actually the one I did all the layout (and lots of illustrations) for over Easter last year, though due to funds there’s been a slight delay in the release. But we’re getting our groove on now and it’ll be published very soon – so keep an eye out for it in all the local haunts! Plans are already being made for the next issue, and I’m just doing a bit of shameless plugging to get everyone to take a peek at our website and see if they would like to contribute any travel, politics, opions, or creative writing text, photography, illustrations, or join our team. Please get in touch with me if you’re interested for details, or send an email to us on our website and blog! Take a peek at: http://nomad.eusa.ed.ac.uk/who/whoframe.html We’re having our website updated too- so watch this space! 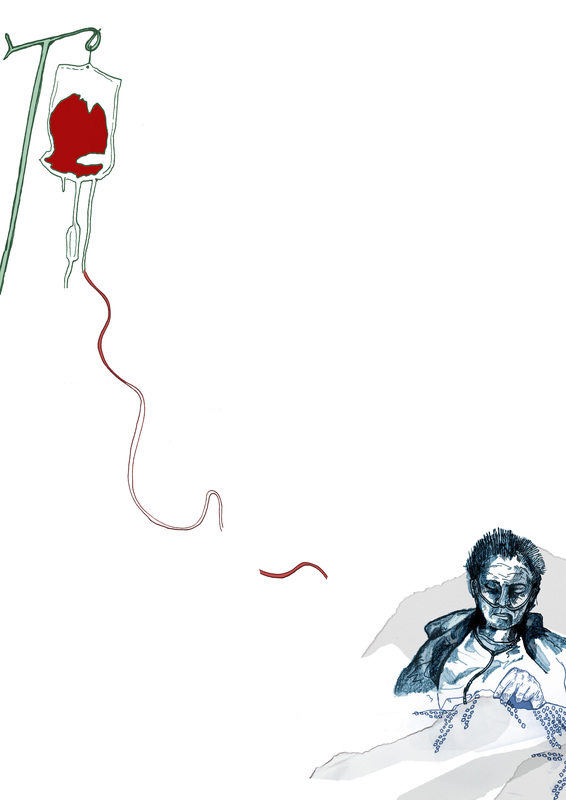 Over Easter I did the layout and 6 illustrations for a magazine called Nomad magazine, the articles were : ‘Blood donation’ and ‘Assisted Suicide’ . ‘Teaching’ and ‘English in Schools’, and finally, ‘Leaving home at Twelve.’ The images wern’t printed in the way they’re shown here, they had their own pages and were surrounded by the text. 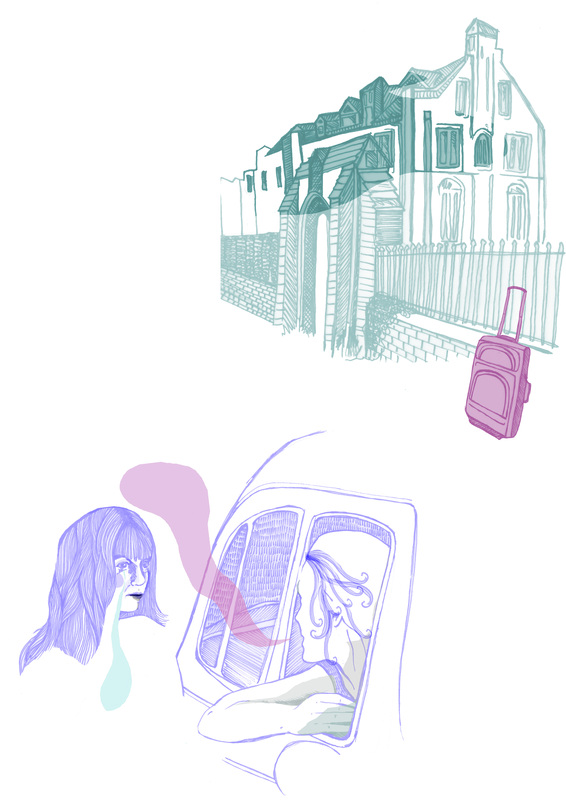 You are currently browsing the Nomad Magazine category at Jojo Norris Illustration.